The idea that you can tell if someone is lying by analysing certain physical cues has been prominent ever since the 1920s, when the polygraph first made an appearance. 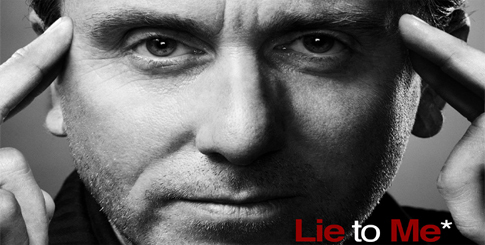 Psychologists such as the influential Paul Ekman swear by the technique, and they have the backing of popular culture in the form of TV shows like Lie to Me, which featured the allegedly unfoolable Dr Cal Lightman. But the notion has its detractors too. They include Andy Morgan, a forensic psychologist at Yale University who specialises in human memory and deception, and who has worked with various US law-enforcement agencies in the context of questioning suspects. He believes that the ‘physical cues’ method has negligible validity and that there’s a much more effective way to detect a liar, one that involves storytelling. In a fascinating episode of the Criminal podcast, titled Pants on Fire, Morgan says that his research has found that there’s little scientific evidence to support the idea that physical signals, including facial expressions and other forms of non-verbal communication, can give away a liar. The polygraph, for example, which measures physiological changes such as blood pressure, respiration and skin conductivity, only achieves an accuracy level of around 50% – pretty much the same as flipping a coin. Instead, Morgan recommends a technique he pioneered called cognitive interviewing. The premise of cognitive interviewing is that there are sights, sounds, smells and other sensations recorded deep in the brain that can be accessed if you push the interviewee hard enough. Morgan describes how he and his colleagues developed the method after interviewing 1200 people, some of whom were asked to lie and some of whom were asked to tell the truth. The subjects would first be instructed to tell a story about something they’d experienced, such as a rock concert. When they’d finished, the interviewer would ask the subject to describe the experience purely in terms of specific senses: sights, sounds, tastes, smells and touch. Finally, the interviewer would get the subject to take them through the experience backwards. Using the rock concert example, the interviewee would talk about how they’d walked to their car from the stadium, then how they’d exited the stadium, then how the lights had gone up after the encore, and so on. Morgan found that the use of these mnemonic props – open-ended questions about various sensations and sequences of events – dramatically increased memory recall about what had happened. The subject’s stories consequently became more and more complex, and richer in detail. Or at least, they did when people were telling the truth. When it came to the lies, even well-rehearsed ones, the subjects tended to falter and were unable to complete the interview. According to Morgan, this was because when they were prompted to dredge up deeper memories, the liars had nothing to draw on. Instead, they merely repeated what they’d already said, or waited for the interviewer to fill in the gaps themselves. He equates the memory of an honest storyteller with a high-resolution image, and that of a liar with a child’s rough sketch. Morgan scientifically substantiated his findings by producing transcripts of each interview, and then getting a computer to count the total number of words and also the number of unique (non-repeated) words in each record. In nearly 85 per cent of cases, the transcripts that contained fewer unique words and fewer words overall related to the stories told by liars. Morgan believes that when people have to think harder about what they’re saying, such as when they’re making stuff up, it has the effect of reducing the richness of what is being said, and the language devoted to it. So despite the proliferation of books analysing non-verbal behaviour as a way of gauging honesty, it seems that the best way of figuring out if someone is being sincere or not is to listen carefully to what they say. When we tell stories, what’s important is the richness of the detail we provide, and the depth of the content – far more so than facial tics or restless hands. Or to quote Andy Morgan, ‘Our words really do matter’.